American Express Nectar Credit Card – What they don’t want you to know! If you’re thinking about signing up to the American Express Nectar credit card, this review provides in-depth analyse highlighting why some potential Nectar American Express cardholders may be better off with an alternative credit card! Ok, before we get into the nitty gritty let’s start with the boring bits. The American Express Nectar card is issued directly by American Express and is a credit card (note that some Amex cards are charge cards which need repaying at the end of every month). The interest rate on the Nectar American Express is 28.2% variable APR. You’re able to hold up to 2 charge cards and 2 credit cards which have been issued by American Express at any one time. The Nectar credit card from American Express is free for the first 12 months and £25 thereafter. In comparison to other American Express credit cards the annual fee is reasonable, however within this Nectar credit card review, we’ll look at another card currently offered by American Express which could provide the equivalent of double the rewards of the Amex Nectar card! What are the Other Benefits of the Nectar American Express? What Can I Get for 21,000 Nectar Points? What Other Cards Compare with the Nectar American Express? The Nectar American Express offers a reasonable sign-up bonus of 20,000 Nectar points when you spend £2,000 in the first 3 months. 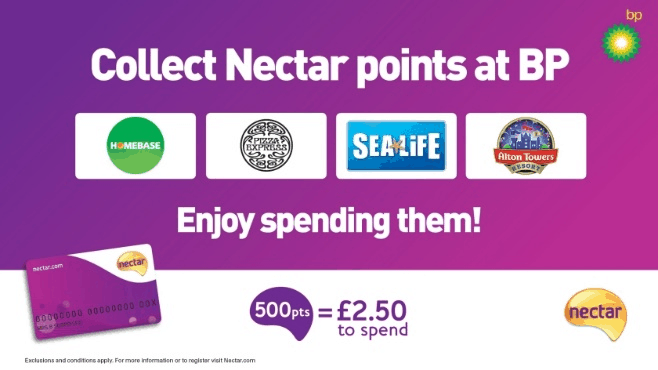 You’re able to use Nectar points with Sainsbury’s and 24 other partners at a rate of 0.5p per point. This makes the sign-up bonus worth £100. You can receive an even higher sign-up bonus of 21,000 points for the Amex Nectar card if you use this link and scroll down to the Nectar card. As I mentioned earlier, the first year of the Amex Nectar card is free and then you’ll be charged £25 every year after that. 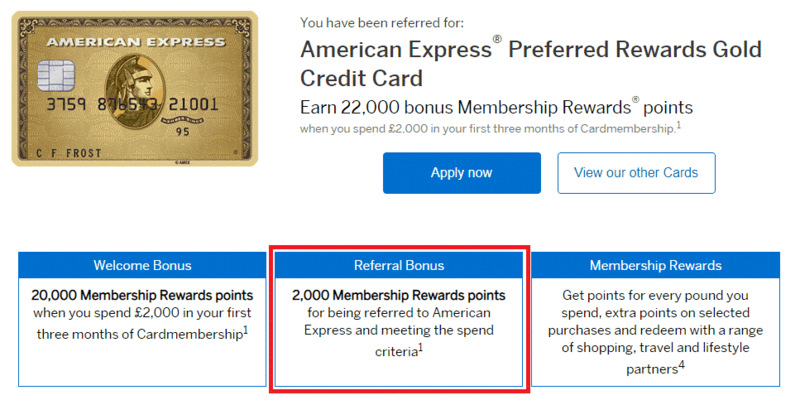 Collect 2 points for virtually every £1 you spend on the American Express Nectar credit card – with the value of a Nectar point usually 0.5p per point, this essentially means you will receive 1% cashback on all your spend on the card. HOWEVER, because you’re restricted to only being able to use points at Nectar partners the points wouldn’t have the same value as the cash received from a normal cashback card. Earn 4 points for every £1 you spend at most Nectar Partners – Now this one is slightly cheeky because it implies that the Nectar credit card will earn 4 points. In reality you will need to use both the American Express Nectar card (2 points per £1) and your normal Nectar Loyalty card (further 2 points per £1) to receive the total of 4 points per £1 spent. As with all American Express issued cards, the Nectar credit card also offers purchase protection cover of up to £2,500 on all items purchased on the card if lost or stolen with 90 days. Read the T+Cs though as this doesn’t cover most electricals! So you’ve signed up to the American Express Nectar credit card using the link provided within this article to receive 21,000 points. What is this worth? As I mentioned earlier, 90% of the time a Nectar point can be used at partner stores at a rate of 0.5p per point. As such in this scenario, the sign-up bonus is worth a reasonable £105. However if you’re prepared to hold your Nectar points for a period of time occasionally partners offer special deals on redemptions. 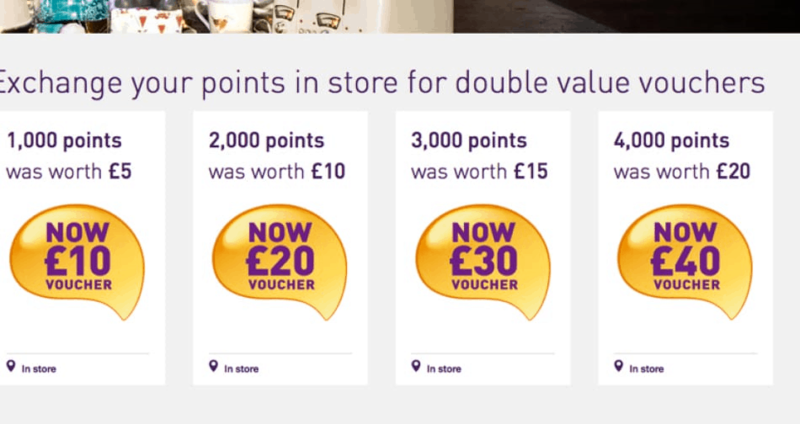 One recent deal was the Sainsbury’s Double Up voucher which increased the value of a Nectar point from 0.5p to 1p. In this particular instance, your sign-up bonus could be worth as much as £210 – not bad at all for a free card! Now we’ve seen what the Nectar American Express credit card offers let’s take a look at some of the other cards offered by Amex and how these compare to the Amex Nectar card… You can read my recent review of the best Amex Card here. The Cost: Both cards come with an annual fee of £25. The fee for the American Express Nectar credit card is however waived for the first year. With the Platinum Cashback Card if you use this link and scroll down you’ll receive a free £25 credit when you spend £1 on the card – again, essentially resulting in a free credit card. Sign-Up Bonus: The cashback card offers 5% cashback up to £125 in the first 3 months – you’ll need to spend £2,500 on the card to receive the maximum cashback of £125. This compares to the 21,000 points when you spend £2,000 on the Amex Nectar card, which is worth £105 when spent with a partner store. As this provides less flexibility we’d consider the cashback card to be preferential in this instance. Ongoing Earnings: Both cards offer the equivalent of 1% cashback and as such would be broadly similar but with more flexibility on the cashback card. The Cost: Whilst the Gold card comes with an annual fee of £140, like the Nectar Amex card the fee is waived for the first year. We would recommend most people cancel the card before incurring an annual fee. Sign-Up Bonus: We believe that the American Express Gold Card offers one of the most generous sign-up bonuses in the market. So how does this compare to Nectar American Express? Similar to the Nectar credit card you can boost the sign-up bonus from 20,000 points to 22,000 if you use this link. Membership reward points can be redeemed for vouchers at a rate of 0.5p per point and as such would be identical to the Nectar Amex. However where the Gold card offers real value is through the ability to transfer to airline loyalty schemes such at BA Avios at a rate of 1 to 1. You can see how I value an Avios here. We’d expect the value of this type of redemption to be somewhere in the region of 1p per point, making the sign-up bonus worth an impressive £220! Ongoing Earnings: Interestingly the Amex Gold Card only offers 1 point per £1 spent. As such if you were redeeming for vouchers at 0.5p per point this would be less than earned on the Amex Nectar credit card. Sign-Up Bonus: You’ll receive 30,000 Starwood Preferred Guest points when you spend £2,000 in the first 3 months – this can be increased to 33,000 points by using this link and scrolling down to the correct card. What’s an SPG point worth? You should be able to achieve somewhere in the region of 0.5p for every SPG point, which would make the sign-up bonus worth £165. If you were to deduct the £75 annual cost of the card the value of the sign-up bonus wouldn’t be preferable to the £105 bonus offered by the Amex Nectar card. Ongoing Earnings: The SPG American Express offers an earnings rate of 3 points per £1 spent on the card. At 0.5p per point (1.5p per £1 spent) this would be preferential to the 1p received on the Nectar American Express (assuming you’d actually use the SPG points to stay at either a Marriott or Starwood hotel). So is the Nectar American Express really worth it? Well we’ve seen that various other American Express cards offer similar if not better earnings redemption rates. You’re likely to be better off with the American Express Cashback Platinum Card if you’re looking for a card for continued spending which also offers flexibility. On the other hand the American Express Gold Card offers a strong sign-up bonus of 20,000 points and so far I’ve also failed to mention the two free lounge passes offered with this card. These are a definitely plus for me! Don’t forget to boost your points to 22,000 using this link here. If you’re an avid Nectar points collector and are prepared to hold your points until a partner provides a special offer of doubling the value of your nectar points, then the Nectar credit card definitely isn’t a bad choice. The sign-up bonus of 20,000 Nectar points (which can be boosted to 21,000 point if you use this link and scroll down to the correct card) can be worth as much as £210 in this instance! As always, we hope you’ve enjoyed this Nectar American Express Review and please reach out to us if you have any questions or comments. Enjoy what you’ve read? Join our mailing list to receive our best articles on luxury worldwide travel and points earning opportunities. No charge. No Spam. Only Inspiration.